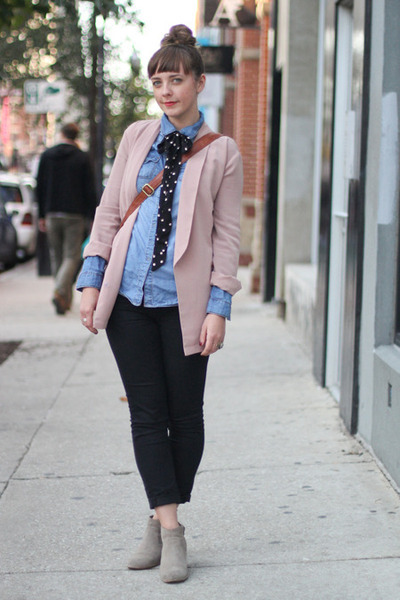 Sarah, our Wicker Park Assistant Manager, looking chic in denim and polka dots as seen on Refinery29 Chicago. pretty pink blazer u have! i love this boyish look.